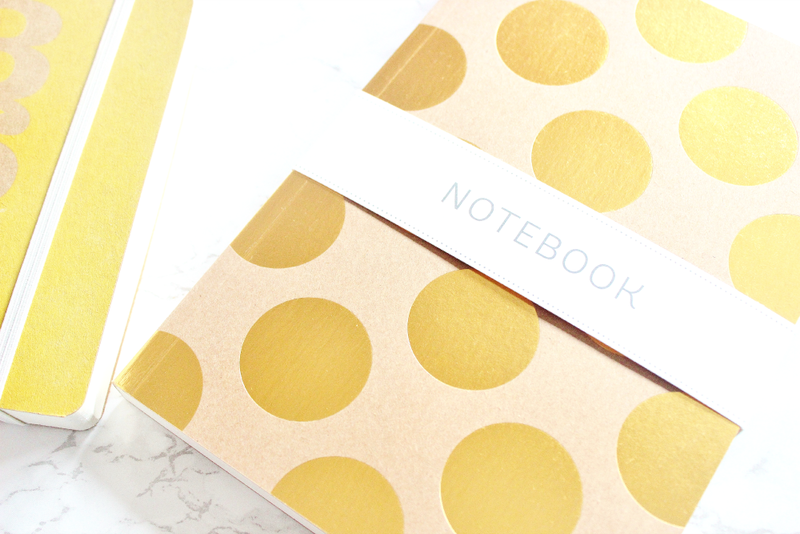 The gold foiled polka dot notebooks were what I picked up immediately, look at how chic they are! It’s the type of stationary you’d find at paperchase but these were only £3 each! SUCH A BARGAIN! I’m not totally use what I’ll use them for yet, but I picked up two and I’m sure you’ll see them popping up in a few photos as props hehe. 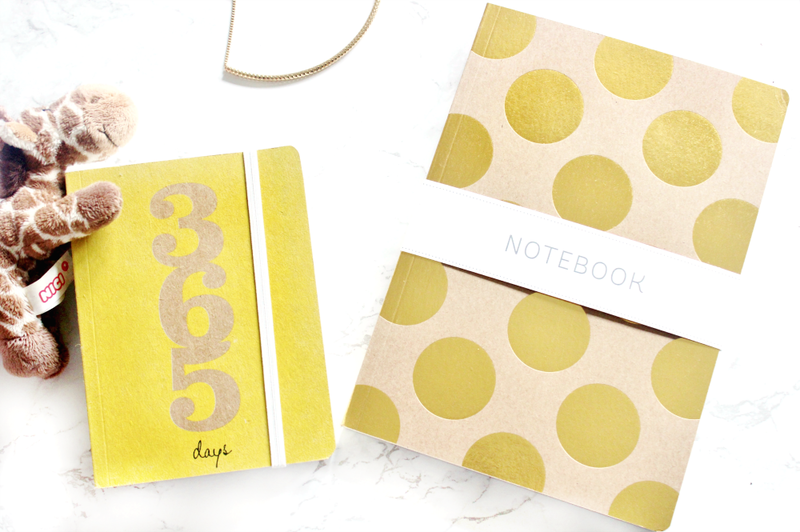 I also got a page a day diary in this beautiful mustard yellow colour and it is perfection. It starts from August 2015 and ends with July 2016 so great for students! It's a neat size to pop in your bag and inside there is more than enough room to write a todo list. 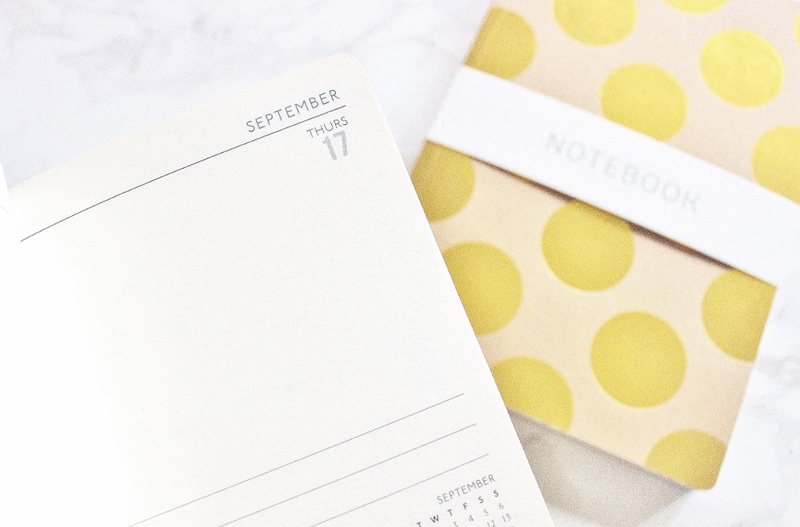 It also includes a monthly over-view, a section for birthdays, address section, notes section and a timetable layout so it’s much more handy than I expected. I’m not really a diary person but this year I’m going to try and use one at the the start and end of every day to make sure I’m on track with University work. The only slight downside is that the cover isn't made of plastic but I'll just have to be more careful when using it and hopefully it'll stay intact for the whole year. The price of the diary is £5 so again a massive bargain for such a chic looking AND useful diary. I picked up this cute little piece of A4 paper with ruled lines which is also a whiteboard! This is from the store Tiger which I’m also prone to having a good wander through because it’s perfect for anyone on a budget. If I lived away from home for Uni it would be one of my go-tos for all things kitchen! This whiteboard and marker set costs £2 and then primary reason I bought it was for essay planning, I prefer to plan things on paper and generally end up using too much of the stuff. So ecofriendly and mighty useful, what is not to love? I didn’t manage to get a full photo of it, but whilst in Tiger I also bought this beautiful copper coloured basket which I’ll be using for hijab storage. It was only a fiver which again is such a BARGAIN! I would have expected it to be at least double the price and as I don’t have a very effective storage system going for my scarves right now I thought this would be perfect. 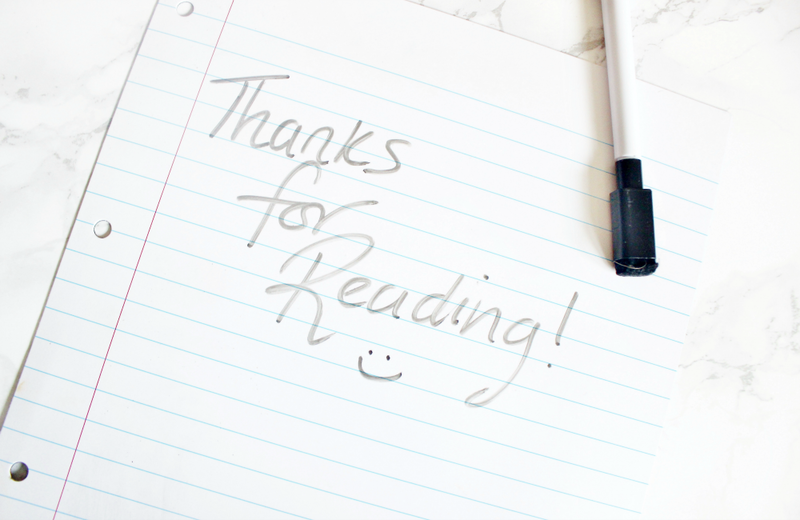 Have you picked up any nice stationary recently?